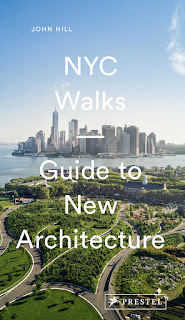 Just like architecture and landscape architecture have reoriented their practices in part toward sustainable ends – designing buildings and landscapes that use less energy and respond to their local contexts – so has golf course architecture. What can be seen as a subset of landscape architecture, golf course architecture has often been held in less regard, since many courses, especially in the United States, are not open to the public and they have a heavy need for irrigation and pesticides, branding courses as resource hogs that do more damage than good. But recent years have seen the creation of golf courses that resemble their natural origins in the British Isles more than the modern courses that litter the U.S. and other parts of the world. 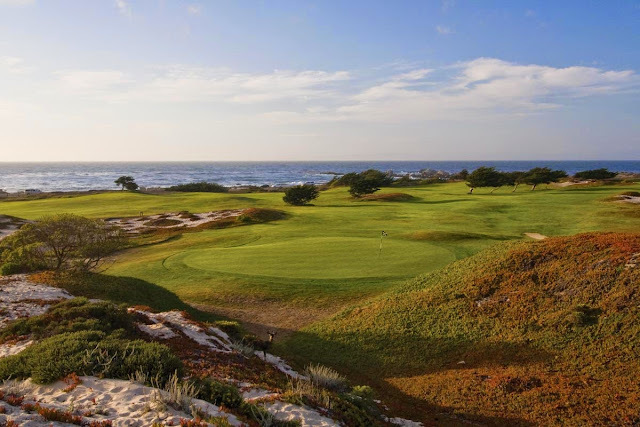 Courses like those on the cover of George Waters' book Sand and Golf (Pacific Grove Municipal in California) point toward a way of designing according to a site's characteristics rather than importing a particular type of course to any location. According to Waters, a golf course architect who has worked with Tom Doak, Bill Coore, Ben Crenshaw, and other designers that share an appreciation of links courses, the key to designing a course that is "green" and follows the game's origins is sand; not sand in the sense of bunkers (just about all courses have them, regardless of where the courses are located and how they're designed), but sand as the base material that the course sits upon. 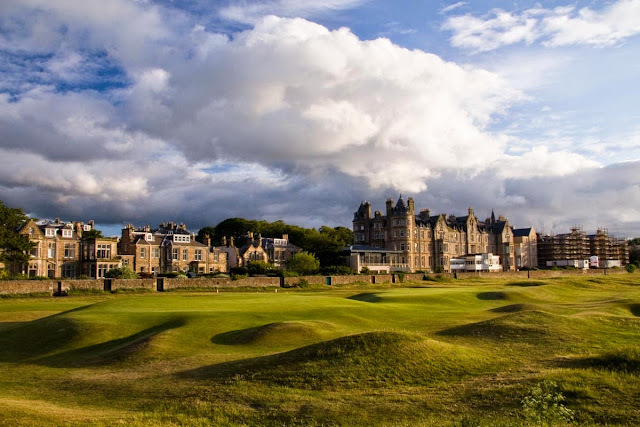 It's no wonder that golf blossomed in places like Scotland and Ireland, where dunes evolved over time to create suitable landscapes for animal grazing as well as for a social game that involved hitting a ball with a club. 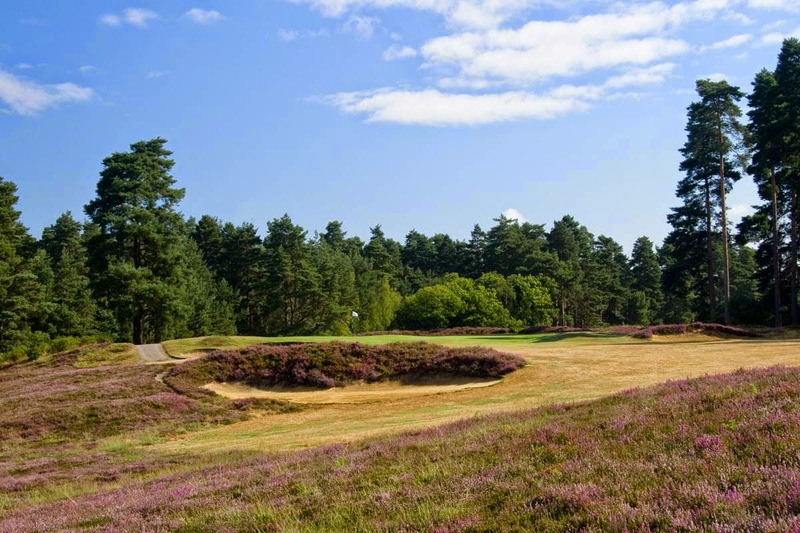 But in the 20th century golf bloomed and courses were built on all types of soils, not all appropriate for the game as it was traditionally played or for the best grasses to play upon and maintain. And as golf's popularity grew so did technology, not only for moving earth but for the making of clubs and balls, meaning that golfers could hit farther and higher, which influenced the design of courses from a game played as much "on the ground" as "in the air," to one where the latter predominated. While to this day technology's influence has not subsided, the need to be more environmentally responsible has increased, accompanied by an appreciation of links courses by a number of designers and their desire to create courses for all abilities, not just scratch golfers. 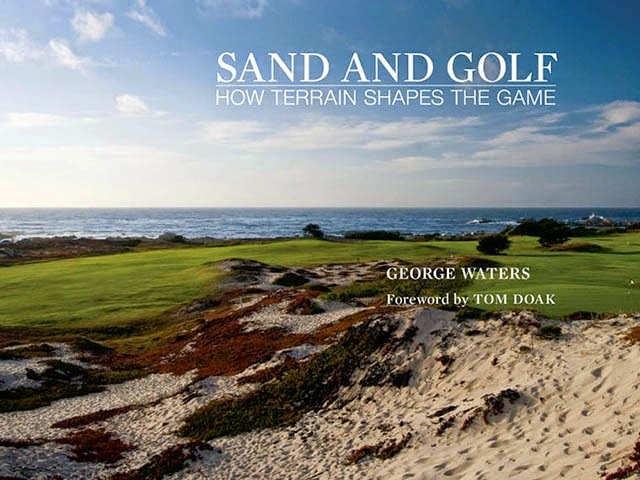 Waters' book is a strong argument for finding the right sandy sites for building golf courses, both inland and coastal, and then designing with the land rather than imposing one's will upon it. Sandy sites offer the greatest opportunities for moving the least amount of earth during construction and for using the least amount of energy in maintaining the courses over time. Yet in addition to these benefits, and the fact that links courses with their distinctive contours offer as much pleasure to high handicappers as low handicappers, Waters' words on the evolution of sites are particularly interesting. 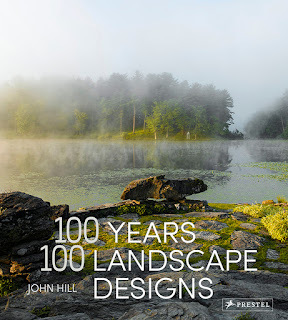 There is a tendency to see courses as static designs rather than dynamic pieces of dynamic landscapes; a hole is seen to have a certain form that needs to be maintained over time. But since a course is part of a landscape, it influences its surroundings, which in turn affect the course. This reciprocity can negatively impact certain holes, but it can also offer the opportunity for creative responses to change, be it in redesigned holes or completely new ones. Whatever the case, it stems from a thinking that acknowledges the naturalness of courses and the idiosyncratic characteristics that arise from being located in a particular part of the world.